72.1 Km long Namma Metro Phase II has 12 underground metro stations. The new corridor will run along the Nagawara-Gottigere route. 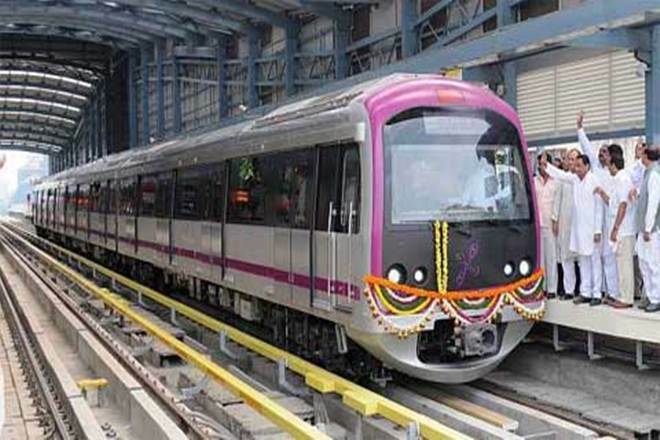 BENGALURU (Metro Rail News): The Phase II of Bengaluru metro rail project is on a fast track. The metro stations in the underground section of Phase II will be smaller in length than Phase 1 due to higher land acquisition costs. In phase 2 corridor of Bengaluru Metro, 12 underground metro stations will be constructed in 72.1 km long section. BMRCL is the special purpose vehicle (SPV) and responsible for implementing the Bengaluru metro rail project. The new corridor will run along the Nagawara-Gottigere route. The phase II metro stations will be smaller in length than the Phase I UG (underground) stations. The phase I have seven underground metro stations, out of which five are 272 meters long and 24 meters wide, and two are 240 meters long and 24 meters wide. Whereas, Phase II of 12 new underground stations will be 210 meters long and 24 meters wide. The decision to construct smaller metro stations is due to higher land acquisition rates. Most of the land acquired in phase-I is the government-owned whereas much of the land required for phase II is privately owned. “Despite the limited space within the stations, there will be no compromise on passenger amenities and to ensure that all amenities are in place, an open space present in the existing concourse area of the underground stations will be closed and amenities will be shifted to that particular spot” Said BMRCL. The proposed underground stations in phase II are namely, Pottery Road, Bamboo Bazaar, Shivaji Nagar, MG Road, Dairy Circle, Vellara Junction, Mico Layout, Tannery Road, Langford Junction, Venkateshpura, Arabic College as well as Nagawara. The heavy civil construction arm of Larsen & Toubro (L&T), which is an infrastructure giant, had bagged big contracts from BMRCL recently. The project work includes the design and construction of under-ground structures, specifically tunnels and stations of 2.884 km long from the Shivajinagar station to Tannery Road station and two underground metro stations at Cantonment and Pottery Town over the same metro rail line.